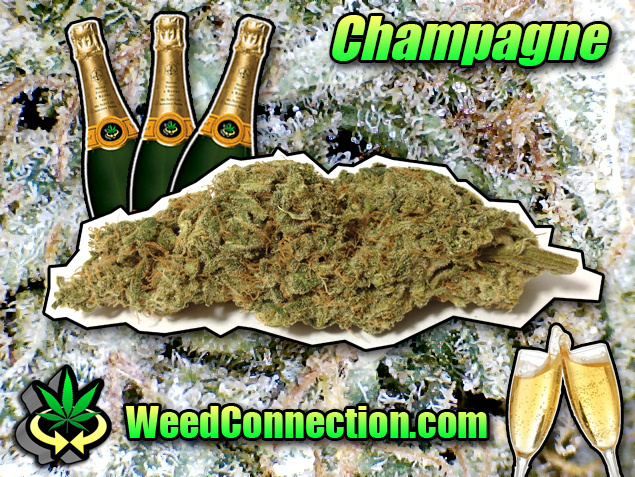 Champagne is a strain that will give you a nice clean sativa buzz. The nugs are long and claw shaped, moderately dense, and frosted with trichs. Similar to Jack Herer, but the smell and taste is more piney, hay-like, and grassy than fruity and spicy. This batch was acquired at ZZZ in Hollyweed. Get some champagne nugs and Skywalker OG Kush at ZZZ and mention @WeedConnection and get some champagne bottles @RussellRope Hollywood ViP Reservations (click here)!$!